Hey y'all! Over the next couple of weeks, I'll be wrapping up our staff posts. If you haven't read all about Lea, Cindy, Victoria, Kelsea, Ginger and Milissia, make sure you check out their posts! This week, I'll be blogging about myself (yikes! ), and next week, I'll be telling you all about The Barn's Owner and Creative Director, Lesleigh Smith. So yeah, today I'm blogging about myself... Awkward! Anyway, I'm Kelsi Flinn, and I'm the Blogger and Social Media Maven (such a fancy title!) at The Barn. I'm married to Richard (we were married at The Barn almost three years ago), and we have a baby boy, Jude Henry, and a cat, Nelson. I've lived in a few Arkansas towns, Texas, Alabama and Missouri. I was born in Russellville and somehow ended up back here two years ago! I love traveling and adventuring! I like cooking, doing outdoorsy things, taking photos, making things for our home, and snuggling my baby. I studied journalism at the University of Arkansas, and I've always loved to write. I love blogs, online magazines, and social media - it's really nerdy, but online journalism is definitely one of my biggest interests and passions! I also happen to LOVE weddings, so being a wedding blogger is such a perfect job for me! Honestly, I could never pick a favorite wedding at The Barn, other than my own. ;) I always loooove weddings that are rustic-glam, whimsical, or super romantic. Just a couple of my faves: Mackenzie + Tyler and Megan + Daniel. My favorite details are ALWAYS the flowers. They blow me away every time! Stephanie Parsley Photography, from Mackenzie + Tyler's wedding. My main job duty is writing our blog. For a typical blog post, I gather up lots of photos, which sometimes means I look through galleries of thousands of photos... it's fun, but a little tedious! I write the post, place the photos, and then edit. My favorite part of the process is writing. Choosing photos and uploading them is the longest part of writing a blog post, BUT it's pretty fun, because it means I get to look at wedding photos for a long time while they upload. ;) I run our Pinterest (most fun job ever) and I sometimes post on our Instagram. I also send tons of emails to brides, photographers and other vendors, and I occasionally submit our weddings and styled shoots to wedding publications. Instagram photo, from Megan + Daniel's wedding. One of my favorite altars, and some of my favorite flowers! What does a normal day at "work" look like for me? Well, it looks like me sitting on my couch on my laptop, typing up half an email and then having to take a break to change a diaper or give my baby a bottle. It also looks like me sitting in the dark in my bed late at night, finishing up the last of a blog post or putting in a few final pictures before a post goes live at midnight. Sometimes I sneak away to Starbucks and send as many emails and type up as many posts as possible over an iced coffee before my husband calls me to come home because our baby is being difficult! (I'm kidding. Sort of.) My days are random and sometimes very unproductive, but I'm so thankful for the opportunity to do a job I LOVE while hanging out at home with my little boy. Sterling Imageworks, from our Breakfast at Tiffany's styled shoot. One of my favorite details of 2016. The flowers on the tree + the croquembouche are SLAYING me!!! My job is certainly different from our other staff members' jobs. Blogging isn't the most important aspect of what our team does; the most important thing is creating gorgeous weddings, and that's not something I do as a blogger. 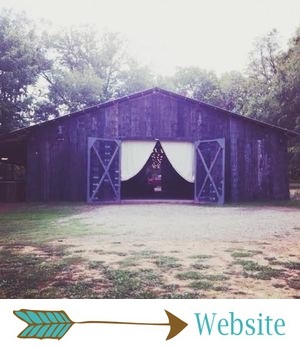 However, I hope that I'm contributing to The Barn's success by showing off our weddings and styled shoots on this little blog, and by providing advice and inspiration to Barn Brides and brides around the world! I am so thankful for my job, for this blog, and to be a member of The Barn Team!